New smartphones are continually coming out. Which one to buy ? Here’s a summary of recent phone reviews, including the new Moto X phone from Motorola. What’s really special about the Moto X has nothing to do with making calls, checking Facebook or holding it in your hands. Rather, it breaks from the pack by allowing for a lot of customisation. You can choose everything from the colour of the power button to a personalised message on the back cover. The Moto X also offers the ability to get directions, seek trivia answers or set the alarm without ever touching the phone. There’s good hardware, too, including a body fits well in the grip of your hands. 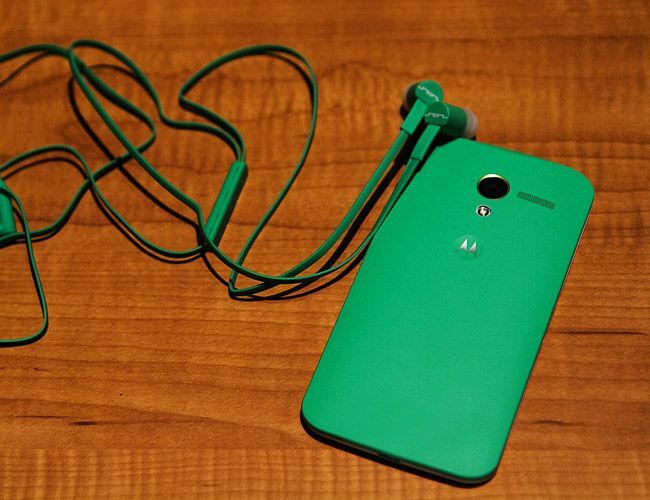 The Moto X is the first phone designed with Google as Motorola’s new owner. It could make Motorola, the inventor of the mobile phone, a contender again. The S4 is an excellent device from a hardware standpoint. Its 12.5cm screen is larger than its predecessor, yet it’s a tad lighter and smaller and the display is sharp. Samsung packed the Android device with a slew of custom features, including new camera tools and the ability to perform tasks by waving a finger over a sensor. Many of the features, however, make the phone more complicated to use. In some cases, custom features work only some of the time. In other cases, you’re confronted with too many ways to do similar things. The S4 might be for you if you don’t mind spending time customising it. Otherwise, you must bypass all the gimmicks to get to what otherwise is a good phone. The One is a phone that can match Apple’s standards of feel and finish. Plastic and metal are joined together so well that you can’t tell by feel where one ends and the other starts. The 12cm screen is also quite a sight, its 468 pixels per inch among the best. Two front-facing speakers give you real stereo sound when turned sideways to watch a movie. HTC’s camera has a lower resolution than most. Promises of better low-light shots from its larger sensors only partly delivered. 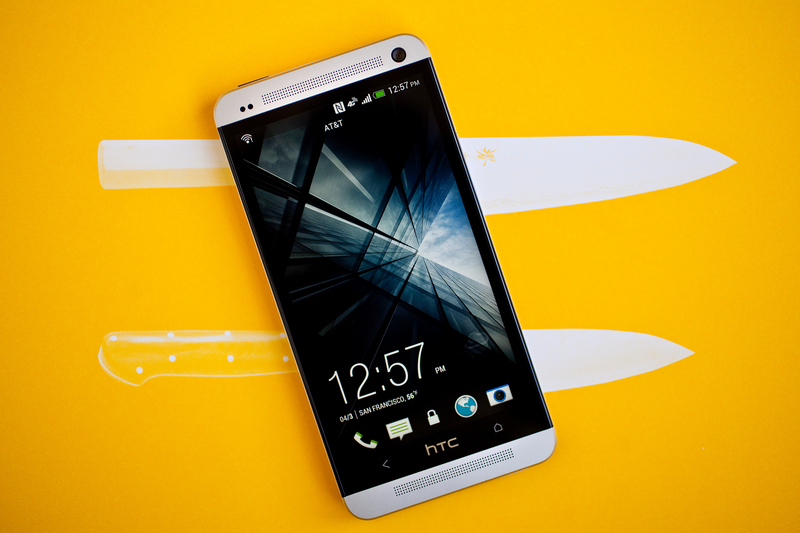 Like other Android phone makers, HTC adds confusion by customising the interface. There are four different “home” screens from which to launch apps, for instance. The One is worth checking out as an alternative to the Galaxy S4 from Samsung, which also adds complication with its custom features. The Xperia Z mostly catches up with offerings from Samsung and HTC, but one feature stands out: Its water-resistant shell means you can submerge the phone at least a metre deep for up to 30 minutes. Making water resistance a standard feature is something more phone makers should adopt as phones become companions to our active lives. Sony also enhances Google’s Android system, without overly cluttering the phone. Enhancements include battery-saving features. The Xperia also brings a lot of features from Sony’s stand-alone Cyber-shot cameras, while letting you highlight only the ones you actually need. Sony’s new phone offering is impressive for a company better known for TVs, cameras and game machines. The Q10 is a successful marriage of the modern touch-screen smartphone and the iconic BlackBerry keyboard. The interface takes time to get used to, and it doesn’t have the simple immediacy of the iPhone. But once you learn it, you can positively zip between tasks. The downside to the new BlackBerry 10 operating system is its relative dearth of third-party software. In addition, the keyboard eats up space that could be devoted to a bigger screen, leaving the Q10 with a square, 8cm screen. Nonetheless, the Q10 is likely to be attractive to the BlackBerry faithful, and it deserves serious consideration from Android and iPhone users as well. The Z10 is the first phone to run RIM’s new BlackBerry 10 operating system and comes across as a very good stab at regaining at least some of the cachet of the BlackBerry. 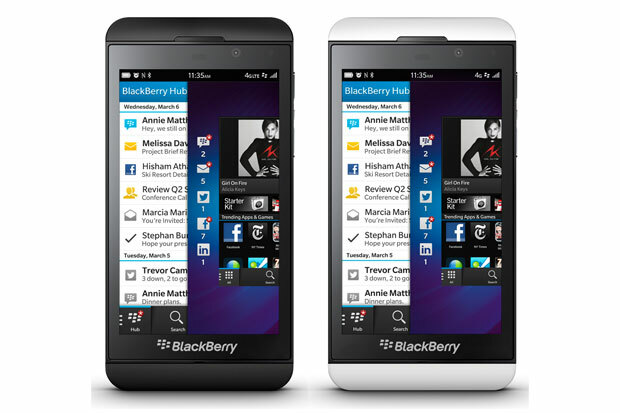 But the Z10 looks like every other smartphone on the shelf. It’s a flat black slab with a touch screen, measuring 10.5cm. Only once you turn it on do the differences become more evident. Older BlackBerrys are great communications devices, but are poor at multimedia and at running third-party apps, something the iPhone excels at. The new BlackBerry 10 software is a serious attempt at marrying these two feature sets. The iPhone 5 is the biggest overhaul to the line since the release of the 3G in 2008. Compared with other high-end smartphones, however, it’s more of a catch-up move. The 10cm screen is larger than previous iPhones, but smaller than many Android devices. The iPhone now works with 4G LTE cellular networks, something many Android devices already did. The iPhone 5 doesn’t break much new ground, but it supports the things that really set the iPhone apart: the slick, reliable operating system and the multitude of high-quality, third-party applications. Released in September, the iPhone 5 is getting old. But don’t expect a new model until later this year. A software update, iOS 7, is also expected for free then. There is no doubt that the Nokia Lumia 1020 is the best Windows Phone device ever made. 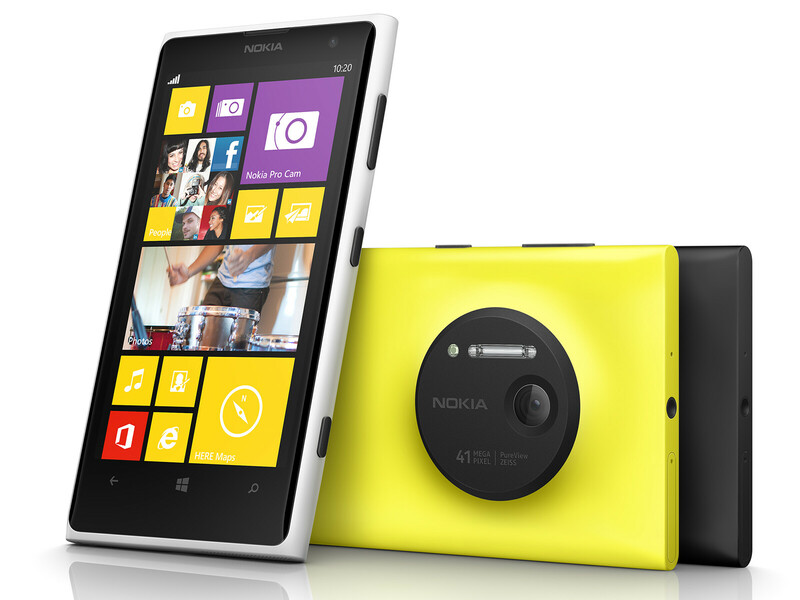 Nokia and Windows Phone needed the Lumia 1020 for one major reason. It gives consumers a reason to buy a Windows Phone 8 device. There isn’t a lot going for Windows Phone. Android has the customizability and the choice, iOS has simplicity and apps, but Windows Phone doesn’t have that one major reason as to why you should buy it. iOS is just as smooth, and Android can mimic the Tiles set up with a launcher or ROM. Now however, the Lumia 1020 justifies Windows Phone as an operating system and gives people a reason to buy it. As for the phone itself, there’s not too much to complain about. It’s plenty fast for tasks ranging from email to browsing the web, to playing games – and the Windows Phone 8 interface quickly grows on you.as a camera, this thing rocks. No, it’s not going to replace a high-end DSLR, but Nokia has definitely raised the bar for smartphone cameras, and all but killed what’s left of the point-and-shoot market with this thing. If you want a good Windows phone, you’ll be totally fine with a Nokia 920 or 928. But if you’re looking for a smartphone that is first and foremost capable of taking impressive photos, you won’t be disappointed in the Lumia 1020. Wow great information.There is no doubt to the fact that all of us almost everywhere use smartphones these days.iphone5 is one of my favorite because of it’s lot of new features.